Workers are permanently moving from flood-ravaged towns and cities in the U.S. Midwest, an exodus that could hurt already-struggling manufacturing and agriculture companies, according to a new report. 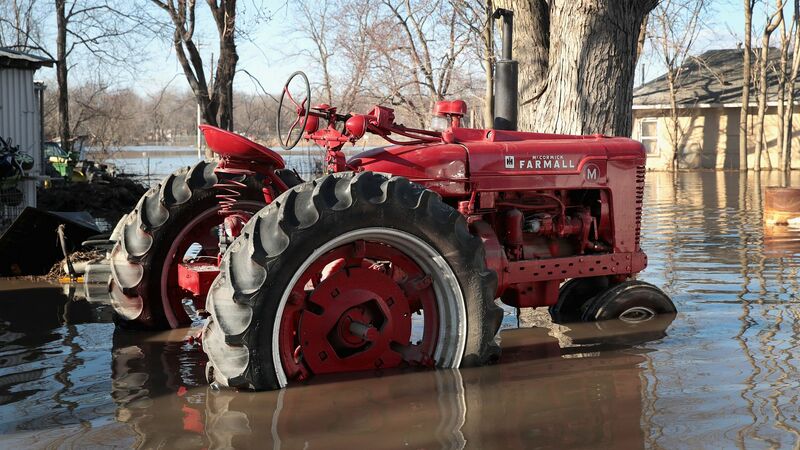 What's happening: Flooding last month from heavy rains caused more than $3 billion in damage in Iowa, Kansas, South Dakota, Wisconsin and elsewhere, AP reports. Among companies sustaining damage were Big Ag's Archer Daniels Midland, Cargill and Tyson. In a new report provided first to Axios, LinkedIn said members from flood zones are changing their place of residence in considerable numbers. Based on that, and what workers did in prior natural disasters — Miami for example had a 62.9% increase in net migration in the calendar year after Hurricane Irma in 2017 — LinkedIn forecasts a comparatively large migration to the Southwest in the coming months. "[W]e expect to see an increase in workers moving to: Denver, Dallas-Fort Worth, Seattle, and Phoenix," LinkedIn said. "It's important to consider that severe weather caused by climate change may have lasting consequences on the economic health and vitality of regions like the Midwest that are already struggling to retain jobs and talent," said Guy Berger, LinkedIn's chief economist. Agriculture and manufacturing companies, such as Cargill and Tyson, are among those that are likely to be hit hard by the migration of workers to the Southwest, LinkedIn said. Neither Cargill nor Tyson responded to emails seeking comment.